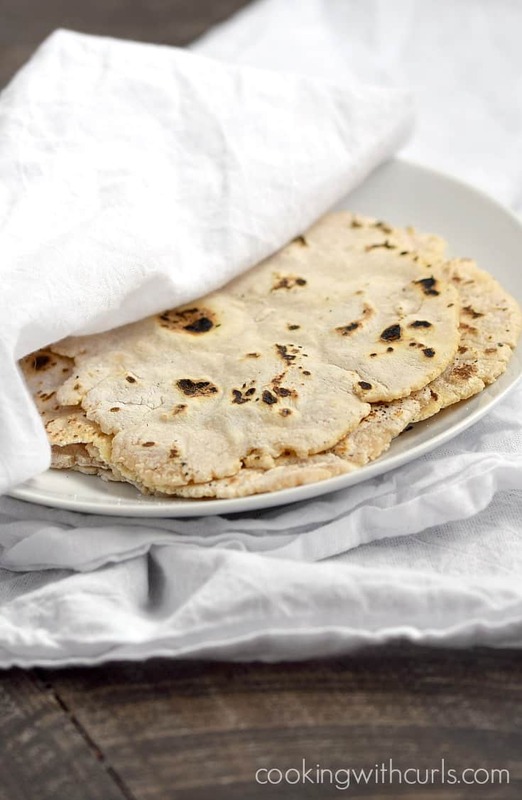 These Cassava Flour Tortillas are grain-free, nut-free, and gluten-free, which makes them perfect for all of your Paleo, Celiac, or allergy-free meals. 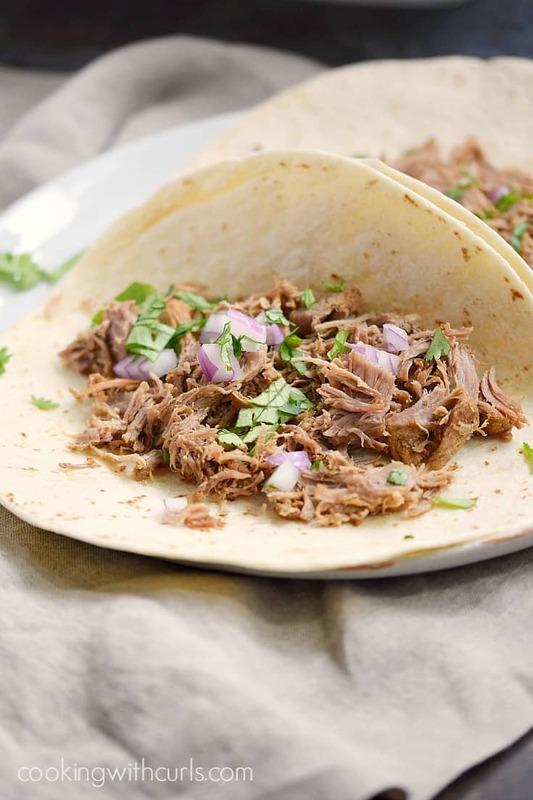 I mentioned last week that I was craving tortillas, and I actually caved and used wheat flour tortillas with my Instant Pot Pork Carnitas. If you have been following me for a while, you know that I do not follow any specific diet….. 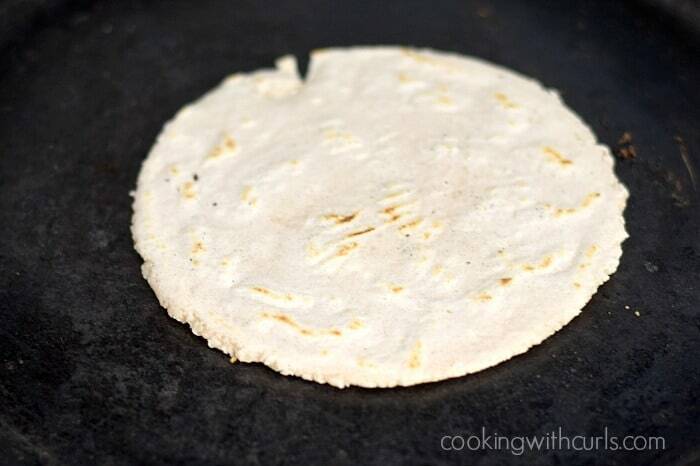 These Cassava Flour Tortillas are my very first attempt at making tortillas…ever!! 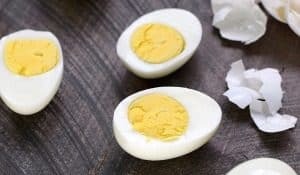 I made two different batches using two different methods, and both were delicious and fit within the Paleo guidelines which is an added benefit as well. Mix ingredients together in a large bowl with a hand mixer or pastry cutter….. I used a hand mixer, but I’m sure a stand mixer would work as well if you prefer. 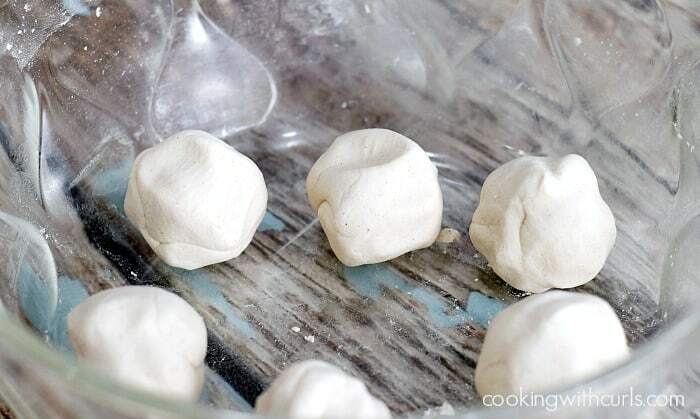 Divide dough into 6 pieces and roll into balls…..
Place each dough ball between two sheets of parchment paper or plastic wrap…. and roll out with a rolling pin, or flatten with a tortilla press….. 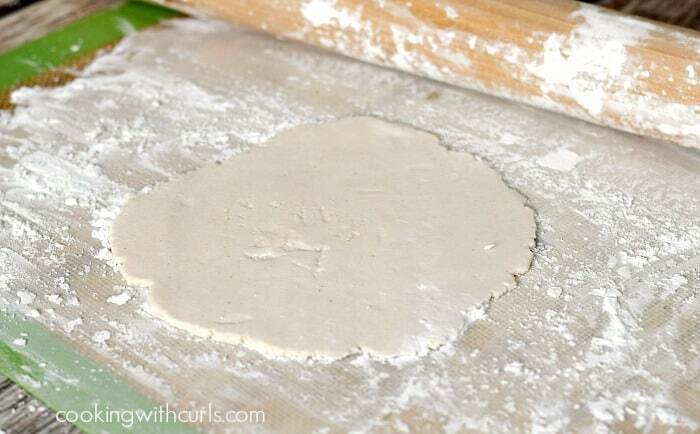 Roll the dough out on a cassava flour or tapioca flour covered silicone mat….. The edges were drier and not as smooth with this method. Heat a cast iron skillet or round griddle over medium-high heat until hot. 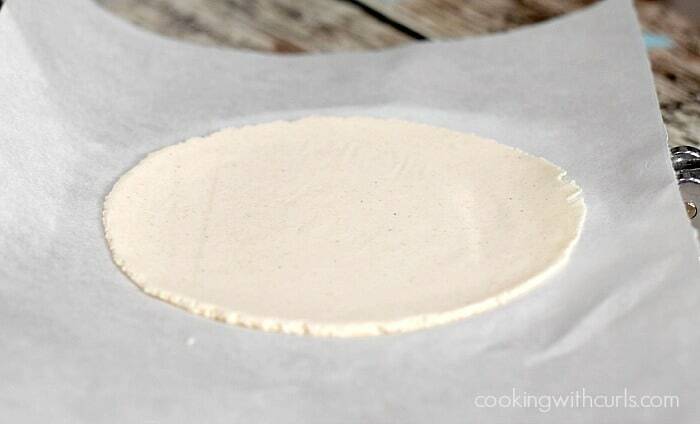 Place a flour tortilla onto the hot pan and cook until bubbles have formed. Flip to the other side and cook until brown spots form. Flip once again to allow the first side to brown…..
Repeat with the remaining tortillas. 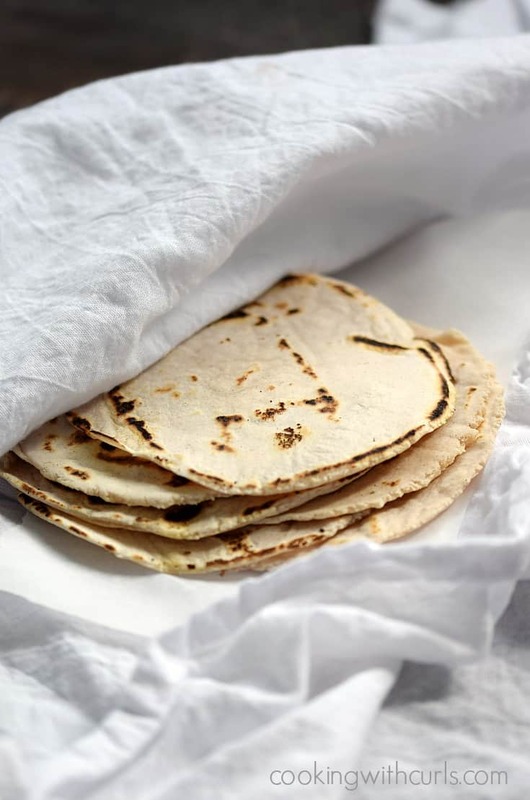 Place warm tortillas in a tortilla warmer separated by sheets of parchment paper or foil….. 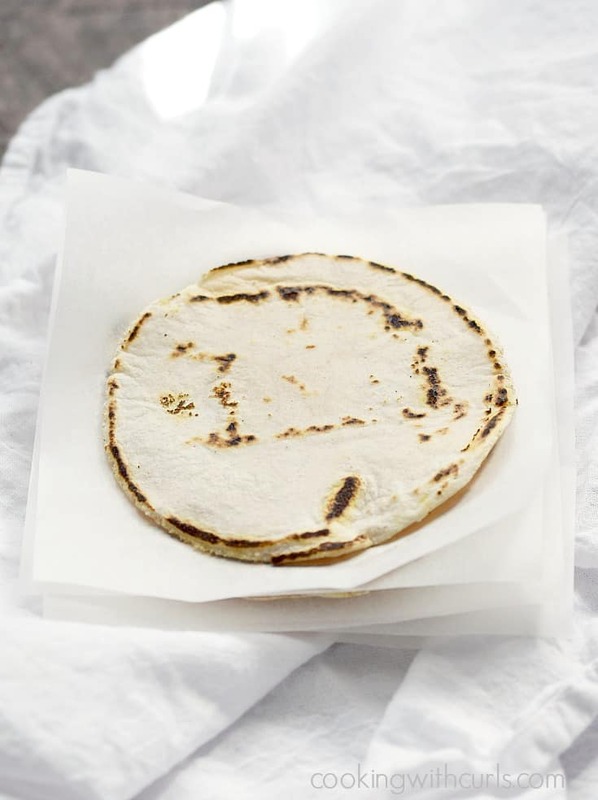 These Cassava Flour Tortillas are soft and pliable, but tend to stick together which is why I added the parchment paper sheets between them. 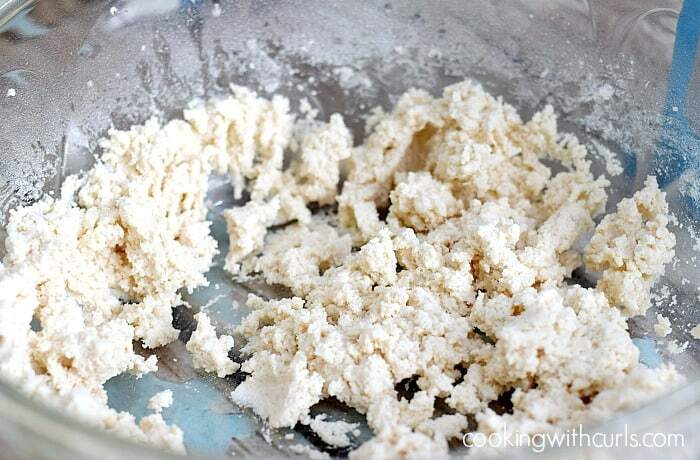 Dough can be made ahead and stored in the refrigerator in a zipper top bag for a few days, or stored in the freezer until ready to use. Cast Iron Round Griddle to make and heat tortillas because it does not have side like a cast iron skillet does. I also use it to make my Irish Nachos and Chicken Fajita Quesadillas. The parchment paper sheets that I used are actually Burger Patty Paper, but they work perfectly for small items that need to be separated. I used Palm Oil Shortening because I am allergic to coconut and don’t want to risk using coconut oil. I found mine at Sprouts, so check your local stores. 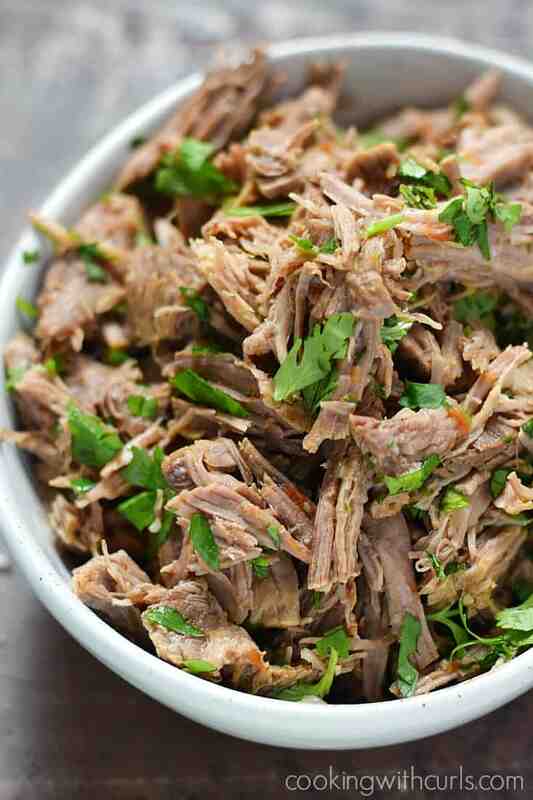 These are going to be perfect wrapped around Adobo Slow Cooker Chicken / Instant Pot Adobo Chicken…..
and Instant Pot Mexican Shredded Beef…..
Cassava Flour Tortillas are grain-free, nut-free, and gluten-free, which makes them perfect for all of your Paleo, Celiac, or allergy-free meals! Mix ingredients together in a large bowl with a hand mixer or pastry cutter. Divide dough into 6 pieces and roll into balls. 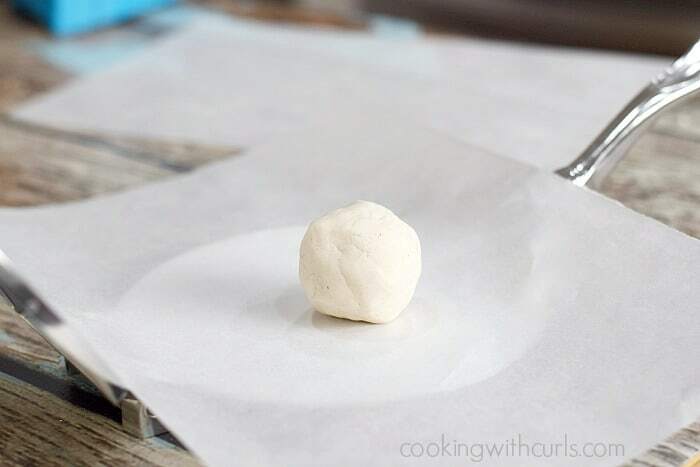 Place each dough ball between two sheets of parchment paper or plastic wrap and roll out with a rolling pin, or flatten with a tortilla press. 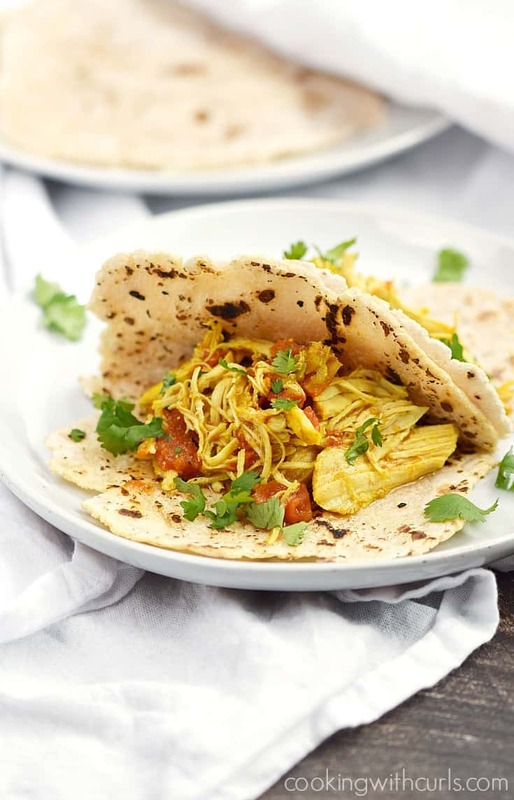 Place a flour tortilla onto the hot pan and cook until bubbles have formed. Flip to the other side and cook until brown spots form. Flip once again to allow the first side to brown. Repeat with the remaining tortillas. 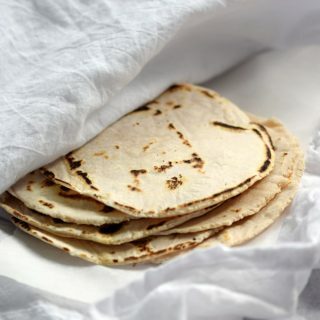 Place warm tortillas in a tortilla warmer separated by sheets of parchment paper or foil. I have pinned at least a dozen tortilla recipes. I so want to make them from scratch but I’ve never tried it. Th is for showing the steps – this looks really do-able. You are welcome Susan. They are totally doable, just go for it!! Visiting from Inspiration Monday linkup. 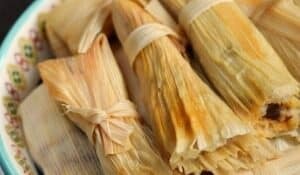 Did you find the taste similar to regular tortillas? I’ve made paleo tortillas but not with canvassa flour. Its supposed to be the most similar to regular flour. Yum! I can’t wait to try this recipe. I’m pinning. Not sure what I did wrong here. The recipe calls for 3/4 cups cassava flour, 1/4 tsp sea salt, 2 TBS palm oil and 1/2 cup hot water and I got soup. I tried adding more flour but it just sank to the bottom and wouldn’t mix with the rest of the ingredients. 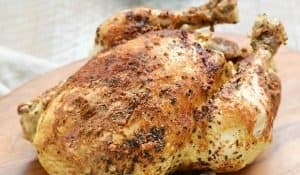 I have read and re-read the recipe and I’m not sure what happened. I am not sure either April, I have made them several times with those measurements. I’m sorry, I wish I had an answer for you. I made these but didn’t roll them out thin and we used them as burger buns. SO GOOD. I like cassava flour…..but just so you are aware cassava is high high high in carbs.